Happy Monday! The start of another great week is upon us and I hope you all are doing well. If not, I hope that this post brings some light and positivity into your life! It makes me really happy when others leave me comments and tell me that they needed to read my motivation posts or that it made them feel better. To know that it has had some effect on some, really warms my heart. I've recently wrapped my head around the idea of "working hard" to achieve the goals you want in life. It seems as though sometimes we see it as "too much work" we're not "good enough" and the negative list goes on. Sometimes though, we have problems or mishaps because it is our faith that is being tested to see how bad we really want these dreams of ours. If you want it really bad, you'll get it done no matter what! If not, you'll find every excuse in the book to keep you from getting there. Don't confuse the two. We have this misconception that sometimes people get what they want because things naturally come easy for them. FALSE! They worked hard to get there and we might not have seen their struggle up close and personal but that doesn't mean it didn't happen. 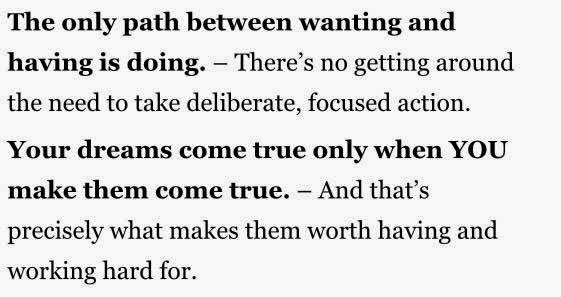 If you want something really bad, fight for it! Most importantly, work hard for it and I mean REALLY hard for it! Do whatever it is that you can do to get yourself where you want to be. Don't kid yourself and say "Oh, I'll wait till next week" or "I'll wait till this happens." NO! If you keep waiting for the "right" moment, that moment in your eyes will never come! Start right now and promise yourself the best! You owe it to yourself and your life to try! Actions speak way louder than words do. And that goes with anything in your life. The more you talk about it, do something about it. Even if it is a little step, you're a lot more closer than what you were before you took action. Anything worth having is worth working hard for. If you're wondering or complaining that you don't have certain things in your life, it is because you haven't worked hard enough for them yet! You have no one to blame but yourself for not taking that leap of faith that you need! When you reach a milestone of an accomplishment, it'll be then that you will thank yourself for all the extra work you put in before. It will be then that you will GREAT and ACCOMPLISHED. You will be happy that you took that first step. Be thankful and grateful for what you have now! See the resources that are given to you now and go on with them! You'll thank yourself in the long run. Happy Friday! I am so happy that it is Friday because I have been having such a great week and I always feel good when I keep up with my blog! Which by the way, I posted up my new Fall Lookbook video late Wednesday night so be sure to check that out HERE and let me know what you think! Be sure to use code lovelylook on your purchase for a little discount! Code expires 10/24/14! 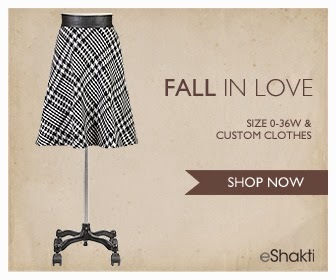 *This post is a part of a collaboration with eShakti, all opinions are of my own.